Fashion Month is over and the models are tired (at least as seen on Instagram). The designers are getting back to their studios after presenting successful collections, in order to realize the creative ideas for the next season and to create new trends. 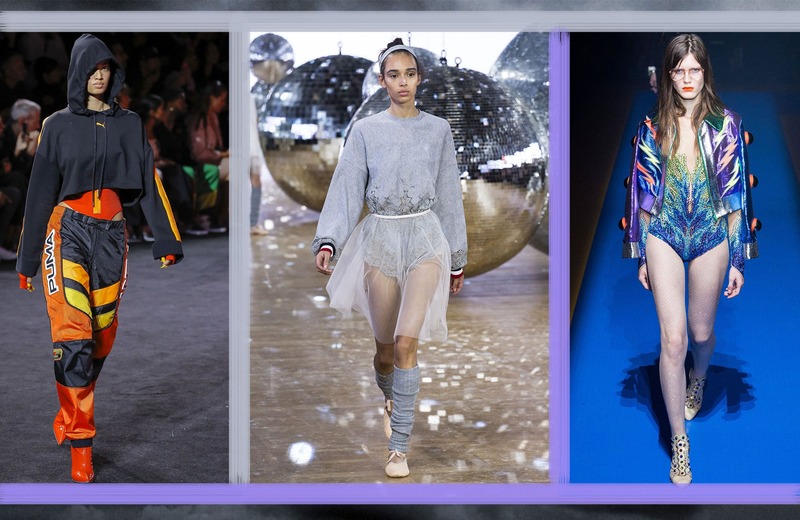 However, before we go too far into the future, we prefer to deal with the trends for spring 2018, which we saw in New York, London, Milan and Paris. After the previous edition has already covered four must-know looks, the following picks will also fill up our wardrobes with the most diverse outfits for the upcoming spring season. 20 years after the tragic death of Princess Diana, she has become the muse and inspiration of Off-White creative director Virgil Abloh. He showed how street wear and the style of a princess work together perfectly. The displayed tulle dresses of the show, which were kept in a simple A-line were just some of the examples. One of the most famous British fashion labels, Alexander McQueen, took tulle as one of its key materials and demonstrated that the playful fabric can be perfectly combined with eccentric fashion. 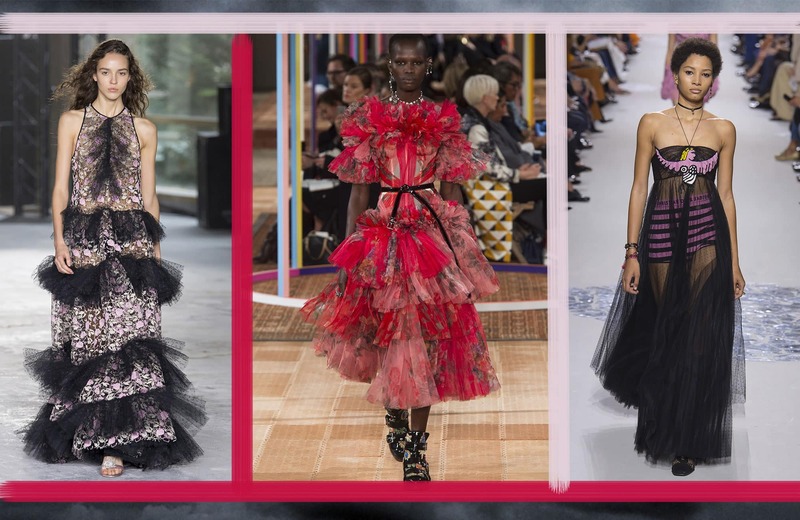 More fashion houses such as Dior, Ellie Saab and Giambattista Valli are just some of the many designers who set a statement with tulle this season. Golf or tennis are yesterday’s news. Today’s motto is: be unusual! And who represents the unusual mood any better than superstar Rihanna? With her Puma x Fenty collection, RiRi showed where the hammer or rather the motorcycle hangs. Not only the motorcycles driving around presented her passion for the motocross sport. The collection itself was a kind of motocross-meets-surf collection. Many outfits from cross country sport and the surfer scene were shown. Meanwhile, a few boxer shorts were featured, which were also present at the French label Louis Vuitton. Prada devoted itself to skiing and put ski socks on some of the models. Gucci, on the other hand, showed the more feminine-known sport and let a few of the models slip over the catwalk with outfits that reminded of sparkling figure skating dresses. The same girly mood was also present with the ballet-inspired looks of Moncler Gamme Rouge. We love being different! This season, a lot of designers showed that the off-shoulder look is not the only great trend for your shoulders. And we are not just talking about the classic shoulder pads, as seen at Céline or Versace. Altuzarra and Marc Jacobs put fake fur on the top of the sleeves. Moreover, Valentino and Vivetta beautified some of their dresses with tulle applications. Labels like Chanel, Giambattista Valli and Christian Siriano sweetened the looks with some ruffles. After all, they showed that our shoulders should get much more attention! 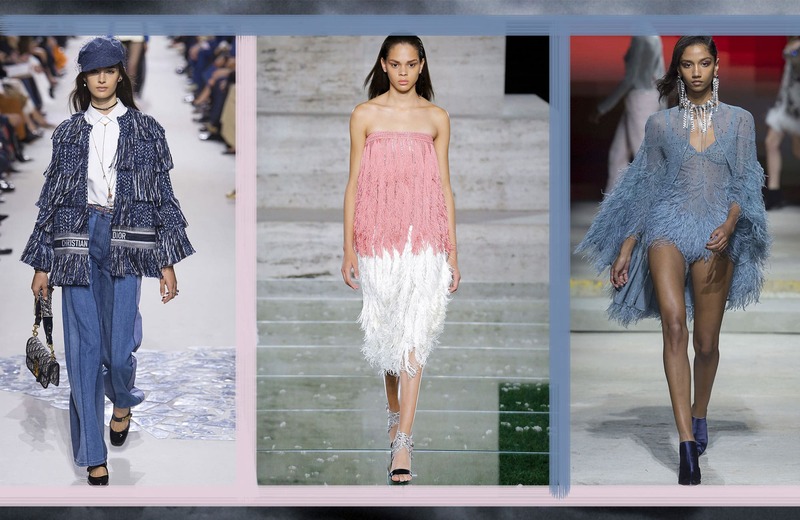 The fringed look probably belongs to one of those trends, which appears once every few seasons. And yes, it is back - but more chic and at the same time more unusual than ever. The CARMITIVE Crew even assumes that it’s THE trend of the upcoming spring season. Everyone who watched the Fashion Weeks carefully saw the fringe looks on a number of catwalks - in a variety of different styles. Thus, Maria Grazia Chiuri gave the denim-styled look a new touch of modernity. In contrast, Bottega Veneta, Marchesa, Salvatore Ferragamo and Topshop Unique presented the chic fringe look in the style of the 1920s. They presented the finest fringes either in a complete look or with unusual accents. Paco Rabanne showed a very spacy way to style the look. The fringes created a funky metallic effect. Looks almost like your wardrobes are going to get a swinging update! Missed the first part of the Must-Know Trends? Don't worry, just hop back to the previous edition and make sure your wardrobe gets ready for spring 2018! 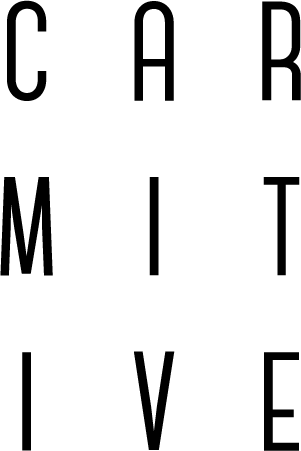 Posted in News and tagged Accessories, Fashion Week, Inspiration, Lifestyle, London, Milan, Mode, Musthaves, New York, Paris, Spring Summer 18, Style. Bookmark the permalink.